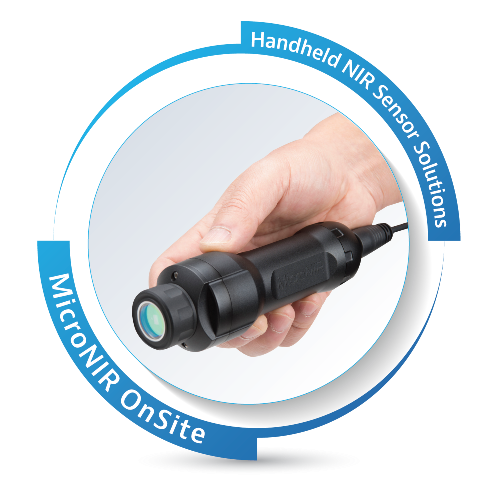 The MicroNIR OnSite handheld spectrometer is the next-generation NIR solution for rapid material analysis. 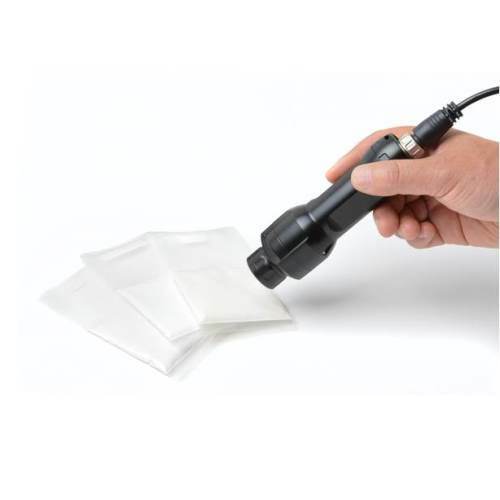 Compact, ruggedized, and ergonomic, it is ideal for applications in the field or on the manufacturing floor. 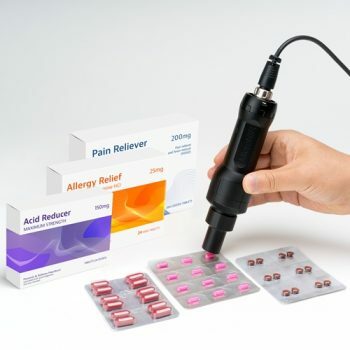 And, its intuitive user interface requires minimum training to operate from a tablet or laptop. 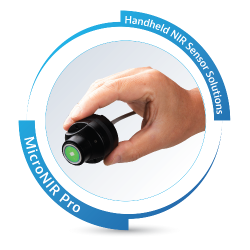 The MicroNIR OnSite is the latest addition to the Viavi Solutions® innovative, ultra-compact spectrometer product line. 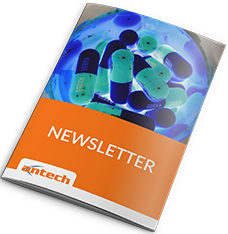 It is the next generation NIR solution for rapid material analysis. Compact, ruggedised, and ergonomic, it is ideal for applications in the field or on the manufacturing floor. 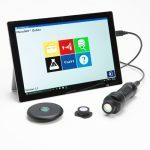 Its intuitive user interface requires minimum training to operate from a tablet or laptop. 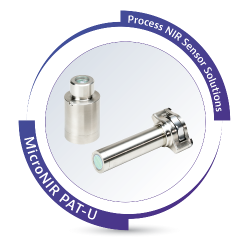 The MicroNIR OnSite is the smallest fully-integrated NIR spectrometer on the market and is enabled by proven Viavi linear variable filter (LVF) technology. It addresses a wide range of material characterization applications in food, agriculture, pharmaceutical, and security markets. 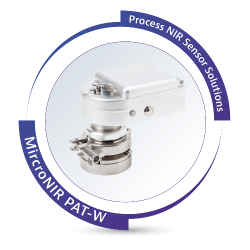 The MicroNIR OnSite includes the professional version of Viavi data acquisition, method development, user management, and real-time prediction software. Within the model development software, a developer can perform spectral data pre-treatments with a full suite of industry-standard tools such as smoothing, derivatives, and baseline corrections. This portion of the software is suitable for PCs and laptops. Instrument performance qualification per USP 1119 test criteria and tools enabling 21 CFR part 11 compliance are available and embedded calibration development software powered by CAMO Software’s The Unscrambler® X provides regression and classification algorithms and a complete set of chemometric tools for calibration model development and data investigation. The MicroNIR OnSite Lite version does not include the embedded calibration development software, but it is compatible with CAMO Software’s Unscrambler X (version 10 or higher).